For more than 150 years, Brazil has produced more coffee than any other country in the world. Coffee prices worldwide fall and rise on the slightest whisper of good news or bad news about Brazil’s next coffee crop. Brazil also is among the world’s most technologically advanced coffee producers. Nevertheless, for buyers of high-end single-origin coffees, Brazil shrinks to something smaller than, well, Panama. In 2013, for example, Brazil produced around 34% of the world’s coffee. In that same year Panama produced about 0.1% (i.e., one tenth of one percent) of the world’s total. Nevertheless, Panama coffees offered as single origins are far more likely to appear on lists of upmarket coffee companies than are Brazil coffees. 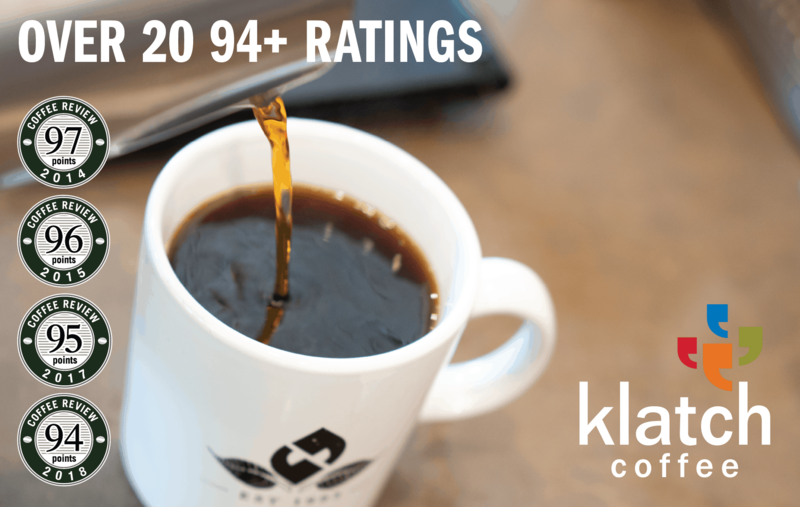 For example, in an average year, five times as many reviews of 100% Panama coffees appear on the Coffee Review website than do reviews of 100% Brazil coffees. The problem is that Brazil does not tend to produce coffees that startle us with their sensory fireworks or unique cup character. Brazil traditionally excels at producing decent, relatively low-grown Arabica coffees at attractive prices, value prices achieved by mass-harvesting and drying of the coffee, compensated for by relentless, technology-enabled sorting to minimize taints and defects occasioned by that mass harvesting and drying. The better Brazils of this type—abundant in quantity, inexpensive in price, chocolate- and nut-toned, pleasing yet unassuming in character—anchor premium Arabica blends all over the world. A mechanical harvester at work in Sul de Minas, Brazil. Courtesy of Kenneth Davids. Yellow Catuai cherries produced by Isley de Alancar, Jr. and Denise Dubowski at Fazenda Santa Tereza. Courtesy of Nook Bakery & Coffee Bar. The attraction of traditional Brazils is summarized by Michael Caro of Nook Coffee (a Nook Brazil Pulped Natural is reviewed here at 91): “Approachability and versatility. No wildly polarizing notes and a flavor profile that lends itself well to many preparation methods … crowd-pleasing flavors of chocolate, various nutty flavors, brown sugar, caramel, and sometimes fruit notes like cherry, orange, lemon, raisin, and berries.” Certainly the crisply smooth chocolate and nut of a fine traditional Brazil dried-in-the-fruit natural is a quietly distinctive yet often overlooked pleasure in the coffee world. But new and more distinctive pleasures may be on their way, given that determined, technically sophisticated Brazil producers continue to experiment and refine at the top end of the market. Many of coffees reviewed this month were the product of the same refinements in lot selection and processing that have driven the exhilarating surge of coffee quality and differentiation elsewhere in the coffee world. For this month’s report we tested almost 60 Brazil coffees from 46 North American and East Asian roasters, looking for coffees that might either surprise us with their uniqueness or reassure us with their traditional Brazil-style pleasures. Sorting coffee cherries as they dry at Fazenda Klem. Courtesy of Hatch Coffee. In a way, the 10 Brazil coffees reviewed here at scores of 90 to 93 both reassured and surprised. True, owing to the relatively low growing elevations in most of Brazil’s coffee regions, the majority were quiet and resonant rather than intense or brightly acidy, supporting Brazil’s reputation as a tummy-friendly origin, particularly suitable for those coffee drinkers who find the sweet-tart, citrusy character of many high-grown coffees uncomfortable. On the other hand, all 10 of the reviewed coffees showed distinctive character, albeit subtle and understated in impact. Readers of Coffee Review are aware of the importance of tree variety in determining coffee character. Revealingly, we received no samples this month reflecting experiments with high-value, striking-tasting varieties like Gesha or SL-28 or quietly intriguing hybrids like Pacamara. 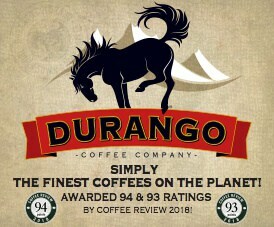 (See our 2011 report Single-Variety Coffees: Aficionado Fun.) Certainly the absence of such superstar varieties is one reason for the shortage of big-time sensory drama among the 60 Brazil samples we tested. It may be that typical Brazilian growing elevations are too low for trendy, admired varieties like Gesha or SL-28 to flourish. On the other hand, based on this little sampling, neither does it appear that the more quality-conscious among Brazilian growers have moved wholesale to neutral-tasting, disease-resistant hybrid varieties that incorporate genetic material from Robusta. Most of the top-rated samples reviewed this month were produced from the distinguished yellow-fruited Bourbon or from Catuai, a respected variety with a complex heritage involving both Bourbon and Typica. In other words, no superstar varieties here, but a lot of solid performers. And we did detect occasional little hints and shimmers of Bourbon character among the 10 top-rated coffees, although these Bourbon-like tickles only showed up with much clarity in the two highest-rated samples, the Old Soul Fazenda São Bento (93) and the Auto Coffee Fazenda Recreio Bourbon Pulped Natural (93). Both display the balanced poise and low-key resonance of the best traditional Brazils, yet also offered pleasing signs of the juicy, exhilarating sweet-dry elegance that may emerge on occasion from selections of the great Bourbon variety. Think the high-grown, sweet-tart intensity of a great, Bourbon-derived Kenya played to a quieter bossa-nova beat. However, the main distinctions among this month’s 10 top-rated samples related not to tree variety, but to differences in processing method. Seven of the 10 reviewed coffees were processed by the dry or “natural” method, in which the coffee seeds or beans are dried inside the whole fruit. The dried fruit residue is removed from the beans later by machine. Most Brazilian growing regions experience dry, sunny weather during harvest, making such sun-drying of whole fruit more efficient and less risky than it might be in regions where a mold- or mildew-inducing rain is more frequent during harvests. Seven of the 10 coffees reviewed here were such “naturals,” as the specialty industry likes to call them. All, however, displayed signs of considerably more care and coddling in harvesting, fruit selection and drying than is typical for more generic lots of Brazil naturals. Rather than having been produced from machine-harvested or strip-harvested fruit, most were created from fruit that had been selectively picked. And the fruit was often dried on raised screen tables rather than concrete patios, encouraging a more even and efficient drying. The care showed. These seven naturals ranged from the juicy, deep, pungent fruit of the top-rated Old Soul Fazenda São Bento, to the high-toned, gently sweet-tart character of the Dragonfly Sitio Esperanza (92), to the delicate, understated refinement of the Back Home Coffee Ipanema Premier Cru Gold B69 (90). Coffee from Carmo de Minas being readied for shipment. Courtesy of Big Creek Coffee Roasters. Among the other naturals, the Hatch Coffee Icamiabas Fazenda Klem Natural (92) and the Big Creek Coffee Roasters Carmo de Minas Natural (91) both displayed versions of the lightly fermented notes coffees sometimes develop during drying in the whole fruit. With the Hatch Fazenda Klem, these notes suggested brandy and chocolate, in the Big Creek Carmo de Minas, a brisker dry cocoa softened by a hint of maraschino. The meticulously dried Soul Work Chapada Diamantina Fazenda Floresta (92), showed no sign of fruit ferment, only a crisp dry chocolate and nut with a violet-like floral flourish. In many respects the Novel Coffee Roasters Minas Gerais Isaias Ferreira No. 2 (91) read as an archetype of a classic Brazil natural: chocolate, hazelnut, raisin; balanced and sweet-toned. The 93-rated Auto Coffee Fazenda Recreio Bourbon presented a gentle but complete version of the pulped natural method, layered and resonant. 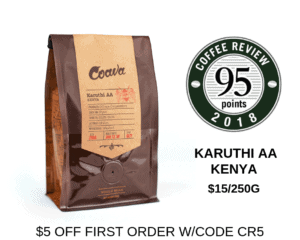 The Corvus Ouro de Minas Pulped Natural (92) displayed the engagingly delicate, sweetly bright side of the pulped natural approach, while the Nook Brazil Pulped Natural (91) the drier and spicier side. The complex, changing nature of the mammoth Brazilian coffee industry, and its longtime efforts to leverage its technical sophistication to produce top specialty coffees, is worthy of an article in itself. Brazil’s specialty ambitions were the focus of many of the emails sent by roasters in response to my questions about their thoughts on Brazil and its coffees. Image of coffee fields in the Sul de Minas growing region of Brazil. Brazil is most identified with its development of an industrialized approach to coffee production. It is one of the only places in the world where technological advances and economies of scale have managed to offset the relentless drop in real coffee prices. In Central America and Africa, human hands touch every coffee fruit and bean at least once, often several times. On larger, technified Brazilian farms none may be touched by a human hand. But to associate all of Brazil’s coffee production with such large-scale industrialized farms would be a mistake. The Brazil industry is strikingly diverse in scale and organization. 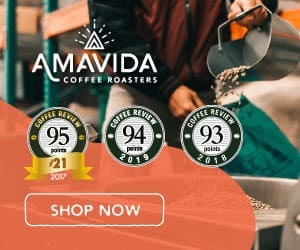 The majority of the coffees reviewed this month came from medium-sized farms of around 60 to 80 hectares (150 to 200 acres), all with significant forest reserves, while the 91-rated Big Creek Carmo de Minas Natural came from a very small, five-hectare (12-acre) farm that saw its coffee lifted from anonymity in a green coffee competition sponsored by the importer Café Imports. A blog post by Cafe Imports describes the competition, one of many in Brazil designed to engage producers in raising coffee standards by recognizing their achievements. Harvesting yellow-fruited varieties at Chapada Diamantina. Courtesy of Luca Allegro. The Soul Work Brazil Fazenda Floresta, from the relatively new Chapada Diamantina growing region, was produced using farming practices based on Rudolf Steiner’s method of biodynamic cultivation, a sort of spiritually infused approach to sustainability that the website www.biodynamics.com defines as “a holistic, ecological, and ethical approach to farming, gardening, food and nutrition.” I have visited other coffee farms managed with biodynamic principles in Brazil, also run by passionately idealistic families or individuals. You can read about this particular farm, Fazenda Floresta, here. Meanwhile, Brazil’s gigantic corporate farming groups are making their own efforts to produce exceptional small lots of specialty coffee. Daterra Sustainable Coffee offers its interesting Masterpieces by Daterra series of microlots. None of these Daterra one-time-only experiments showed up among this month’s submissions, but Taiwanese roasters sent several samples of highly refined microlots produced by the giant, multi-farm Ipanema Coffees through its new Ipanema Premier Cru program. Yen-Ying Chiu, of Back Home Coffee in Changhua County, Taiwan, cupping in his roastery. Courtesy of Back Home Coffee. Painstakingly selected on the basis of microclimate, tree variety and processing method, these gracefully delicate Ipanema microlots nevertheless stalled at ratings of 87 through 90. We review one of three that scored 90, the Back Home Coffee Brasil Ipanema Premier Cru Gold B69. Note, however, that this time around we were essentially tasting beta versions of the new Ipanema microlots. According to Ipanema CEO Washington Rodrigues, the Premier Cru platform and its dedicated processing facility will not be in full operation until next year. Hopefully, this meticulously conceived, innovative program will find its way to producing coffees with intensity and sensory depth to match their current sweetly brisk grace.